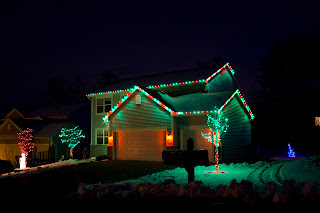 One thing I love about Christmas time is driving around and seeing all the Christmas Lights on all the houses. When we drive home from work it is almost always dark and Alex this year has just loved seeing all the lights. Well we have a Red and Green theme and I love it. I love how are house looks every Christmas and I love that my husband will get out on our roof and put up the Christmas lights. It is hard in Minnesota as you almost have to get them up before the snow falls or you risk falling off your roof because of the ice and snow up there. Thank goodness he got our lights up about 2 weeks before Thanksgiving. and see the little blue tree on the right side of the picture?!?! Well that is Alex tree and she decorated it herself with a little help from Grandma Darlene! 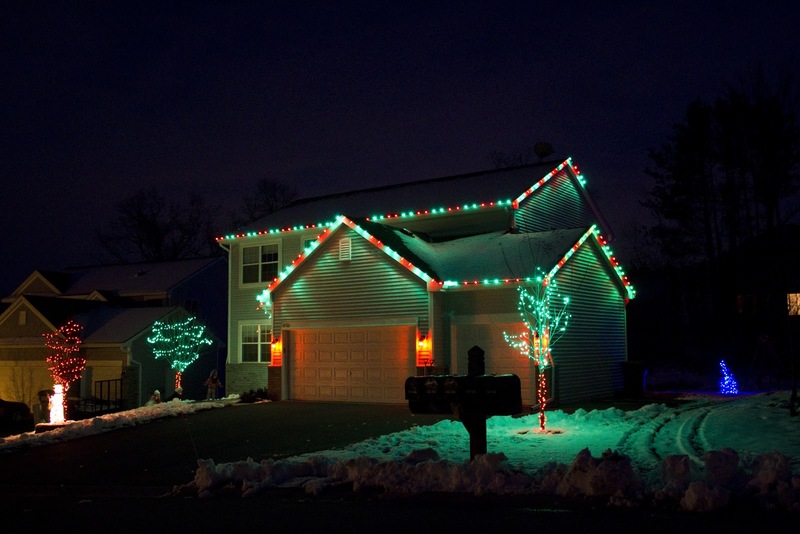 My husband also puts colored lights in the lights on our house! Love driving up to our house at night and seeing the pretty lights! Thanks Honey for getting on the roof every year and putting up our Christmas lights. 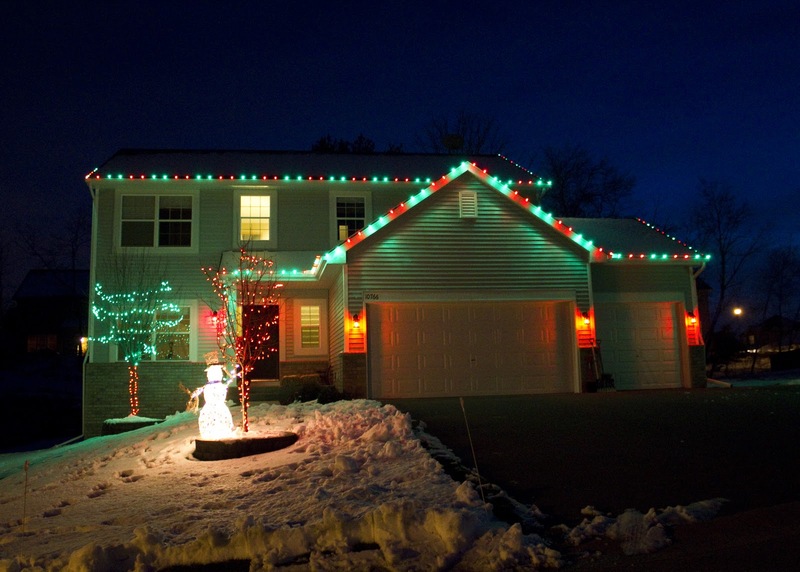 Christmas would not be the same without lights on our house! I don't think I've ever seen lights like those! Looks GREAT!! I can't believe you got them up two weeks before Christmas! We still don't have a tree up yet! OMG! Your house looks so pretty with all the lights. What a sweet hubby! Merry Christmas! I loveeee it! Very adorable!